Have you ever heard of a yurt? The definition of a yurt describes it as a circular tent of skins or felt. It is held together on a collapsible framework that is both easy to make and disassemble. Yurts have been in use for thousands of years by nomads in Turkey, Siberia, and Mongolia. They are unusually strong and are able to withstand strong winds of 50 to 70 mph. Also, unlike tents, they provide excellent insulation for those who love extreme weather camping. 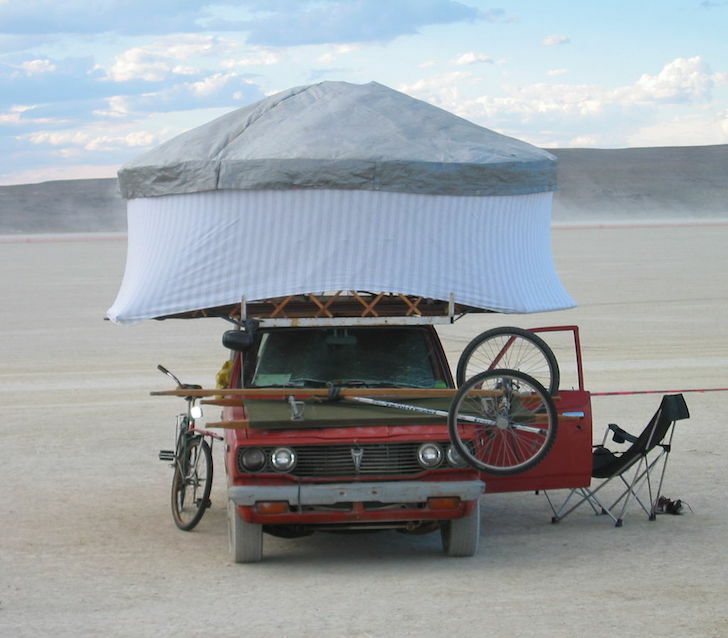 Did you know that that a yurt, with a truck as its foundation, makes an excellent RV? Don’t believe me? Check out the version that Tim Anderson built for the yearly Burning Man festival. For those who don’t know, Burning Man is a week long festival that takes place every in the Black Rock Desert. Unfortunately, for most visitors, this area in Nevada is known for strong winds that can stir up a lot of dust. This can be a huge hassle, unless you come prepared, like Tim Anderson did. 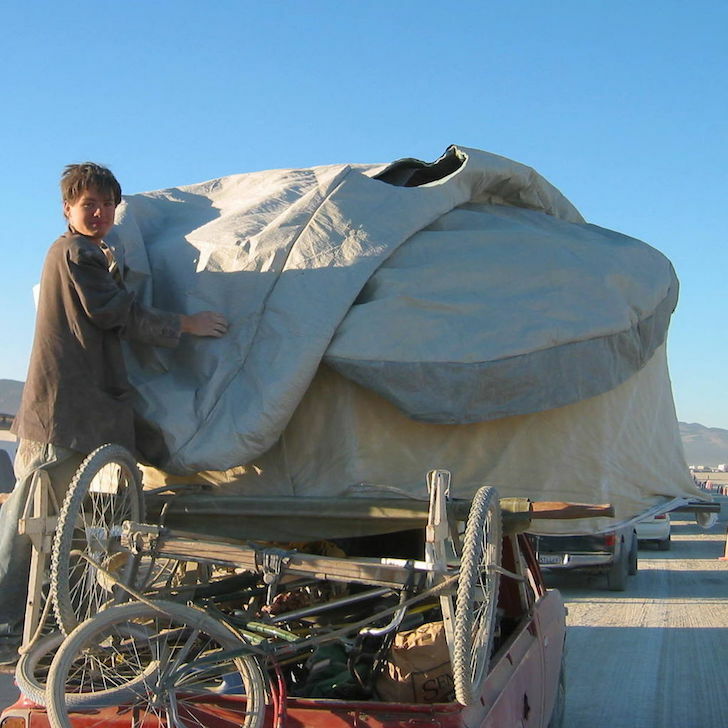 He proved that a Yurt RV is the perfect vehicle to bring to the Burning Man festival. 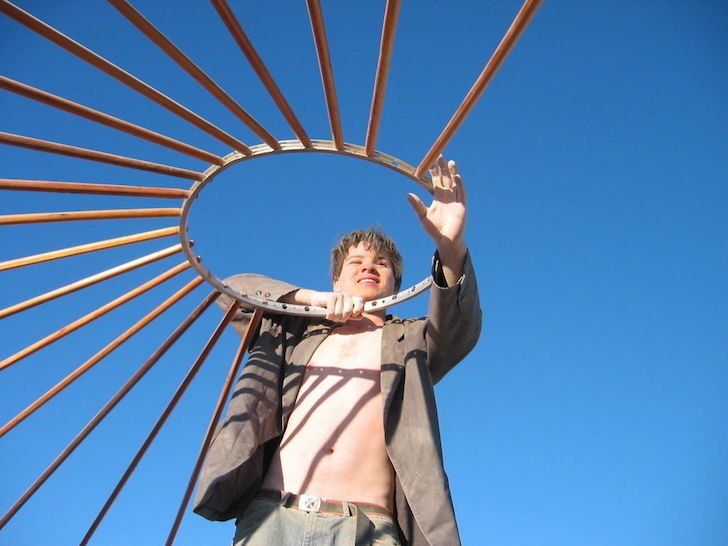 Tim’s yurt is ten feet in diameter and can fit several people once it’s put together. Want to know how he built it? 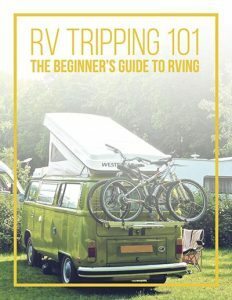 If you want to try RV living for the cheap, this may be the option for you. Simply check out Tim’s complete ten step construction plan on the Instructables website and let your imagination take over. Happy Building!